There was no big vision, just a passion for Angus cattle. Limited in land, time and resources, Hinkle always knew he’d never be big, but resolved that his few would be some of the best. It wasn’t about making a name or even making a dollar, it was just something he wanted to do. What most didn’t realize is that under his baseball cap, Hinkle is a modern-day beef maverick. It began by just selling a few bulls to folks down the road. The pennies earned were reinvested into the business, helping him get better each year, adding more value with each new mating. His first bull sale was held in a tent. 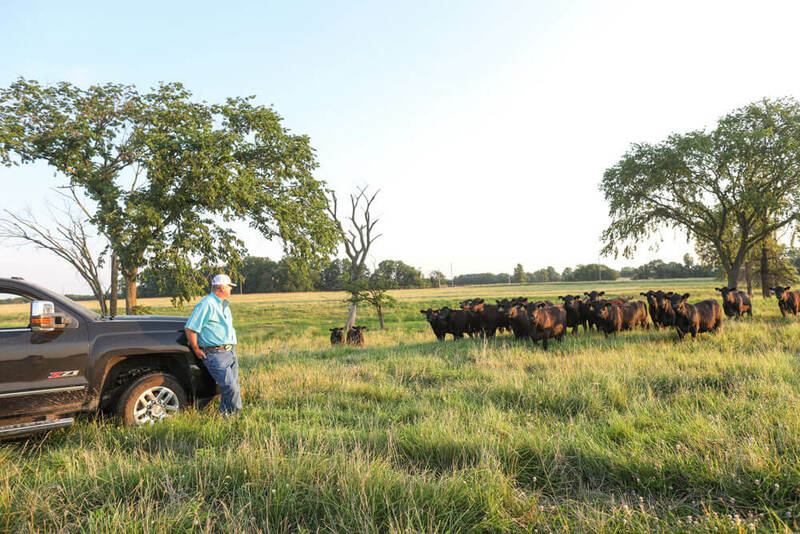 Over the years, the seeds Hinkle planted grew to a flourishing business that markets 300 Angus bulls annually — the now-veteran cattleman develops them all on or next to his original 30 acres. His blue eyes sparkle as he jokes that he got his start in the beef business because he was “stupid and didn’t know any better.” But each decision he makes is calculated. Hinkle moves with purposeful precision, making the most of the limited resources with which he is still challenged. His bulls are entirely the product of artificial insemination (AI) and embryo transfer (ET). The massive registered cow herd doesn’t exist. He’s still focused on making the best from what he has in front of him. The cow herd and bulls are developed on about 500 acres of forage and through the help of a few local cooperating herds. “If we can produce 200 calves a year out of 12 elite cows, we’re putting a very good product out there,” Hinkle says. He isn’t just producing a good product; he’s focused on breeding the very best. This mindset and years of diligent focus on that goal earned him the 2018 Certified Angus Beef (CAB) Progressive Partner Award. Flip through the pages of the Hinkle’s Prime Cut Angus (HPCA) sale catalog and you’ll find more than expected progeny differences (EPDs) and genomic profiles. There’s a carcass data record, showing his bull customers’ past feedlot and rail performance. 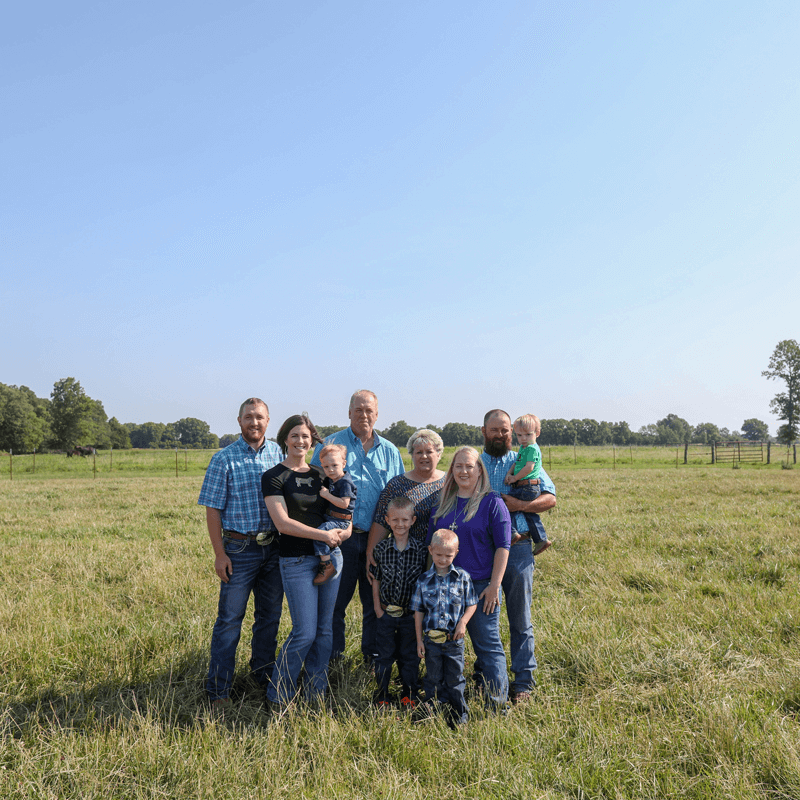 It’s a story of how Hinkle genetics add value to the person next in line. For the HPCA crew, the status quo isn’t an acceptable option – for them or their customers. The father-and-son team work in tandem with Hinkle’s son-in-law, Blake Baker. The Angus dream began with the family patriarch but it’s a life the entire family works in today. And it’s the data that drives them forward. Jeremy Zoglmann is one such customer. 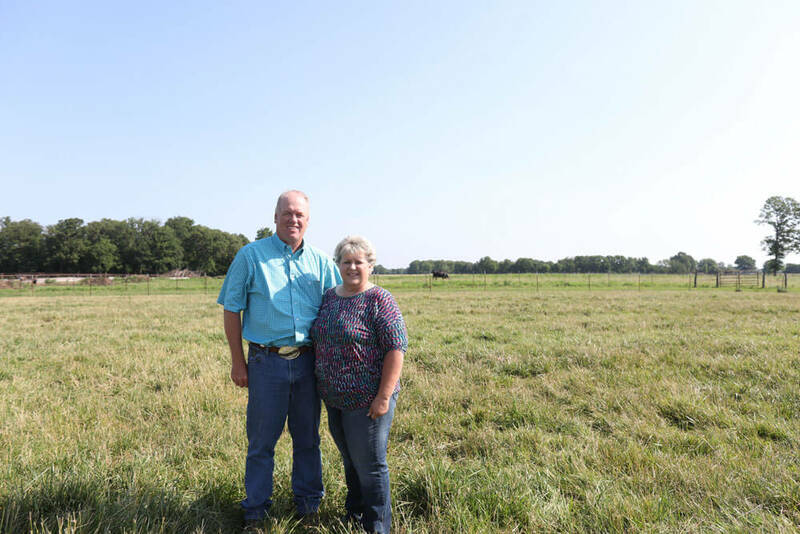 The commercial cowman who raises his Angus herd on the other side of town from Hinkle’s sets his sights on calves that qualify 60% or more for CAB, with a goal of 20% Prime. He began retaining ownership in 2013 after a nudge from Hinkle, and his first cutout sheet came back 100% Choice or better. Since then, he’s travelled as part of organized HPCA customer tours to Hy-Plains Feeders at Montezuma, Kan., and built relationships that help him continue to meet his goals. In recent loads fed there, Zoglmann hit his target and earned as much as $280 in premiums per head above what he’d get paid marketing them live. It’s a story many of Hinkle’s customers could tell. For Hinkle, those stories and numbers signal victory. Science and the resulting statistics have always been Hinkle’s guide. A student of numbers, he gathers information on everything from a cow’s mothering ability in the first 30-60 days to a bull’s feed-conversion performance and how the progeny of his genetics execute in the feedlot phase. 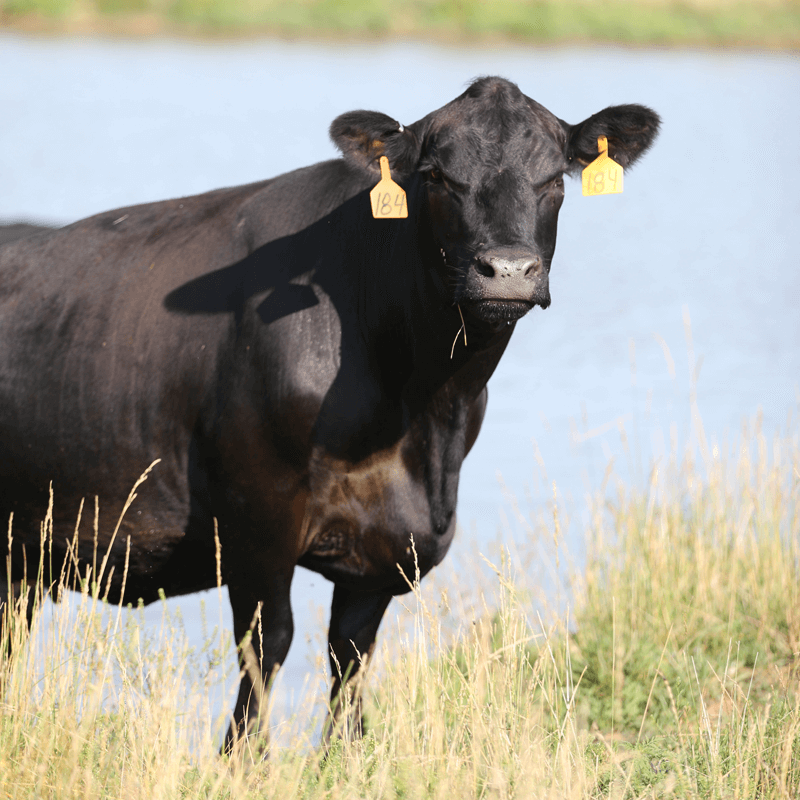 Although that data eventually goes into the production of bulls, he says it’s a focus on the female that has helped evolve from that small, unproven herd 25 years ago to a top-tier genetic supplier today. Hinkle balances traits for optimum performance and says, since the cow makes up half of the desired outcome, she deserves attention. Chasing extremes isn’t his game, and his focus on carcass isn’t offset by a lack of performance. As for the female, Hinkle doesn’t buy the theory of a hard-doing, high-marbling cow. Cautious but focused, his females fall on the higher end of the $B value index spectrum; most are far above breed average for marbling, but if his replacement females don’t portray strong mothering abilities as first-calf heifers, they don’t make it to the donor pen. Words like “maternal” and “terminal” aren’t what Hinkle will use to describe his program. 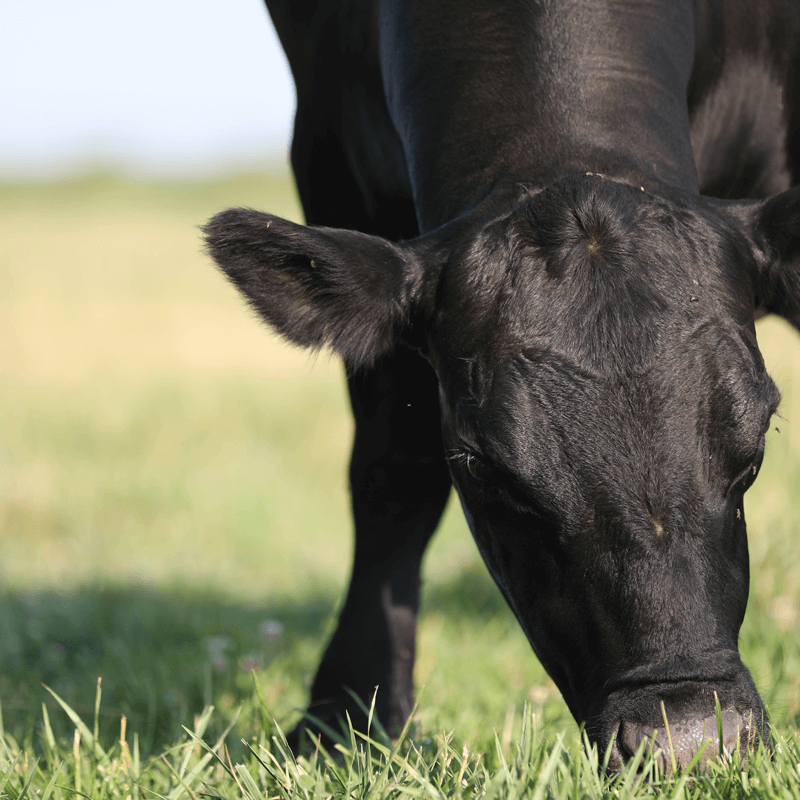 It’s a collective mission to produce a calf that comes easy and grows rapidly with the genetic capacity to excel in performance and profitability at every point in the beef supply chain. It doesn’t matter if that’s his own kin, the customer down the road or the consumer eating his beef in a steak house in New York, he’s focused on adding value to each as they take their turn in developing or enjoying the genetic foundation that starts at his place. For now, that focus is continuing to make some of the best beef even better. To some, it might sound crazy. To a man who built a business with nothing but two hands and a dream, it’s simply another task on his to-do list.